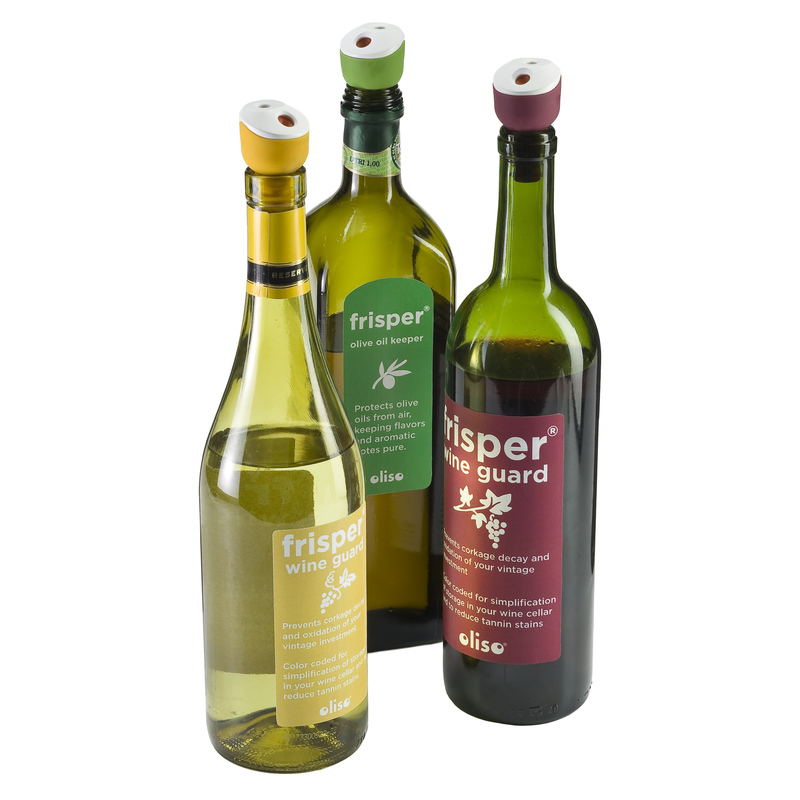 Never have oil or wine spoil again thanks to these Freshkeepers from Oliso. This set features a durable plastic construction, and includes three stoppers in purple, green, and yellow. Designed for use with the FF600 and Pro-1000 vacuum sealers, these stoppers will extend the life of your wine and olive oil. Keep them in your kitchen to ensure your oil and wine will always be fresh and ready to use.